This is an updated version of a post published in Agapeta on April 25, 2016. What lies in a little girl’s mind? What are her interests? Which role models does she hold? Sometimes she can choose a quite unusual one, and this leads to unexpected consequences. Brooklyn Andracke, a little girl born on April 7, 2013, lives in Bloomington, Illinois, USA. 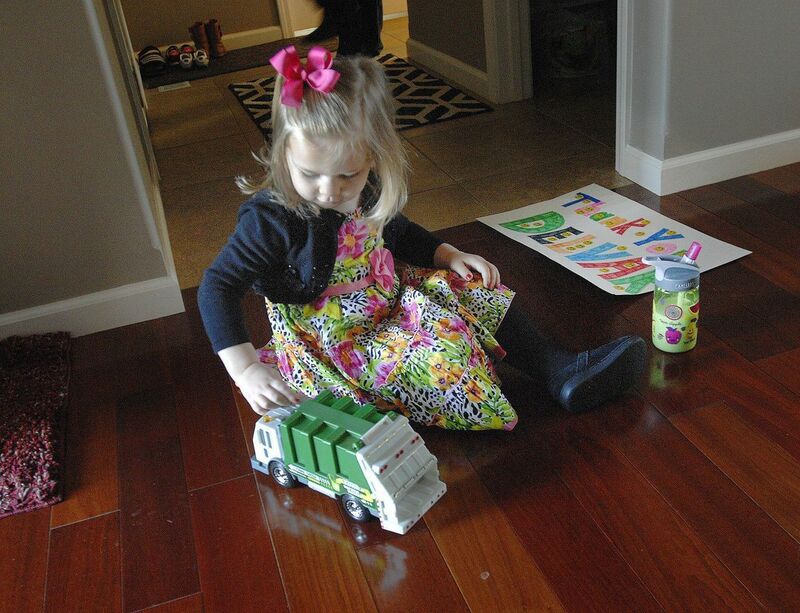 When she was aged two, she became fascinated with the garbage collector who was coming every Thursday. 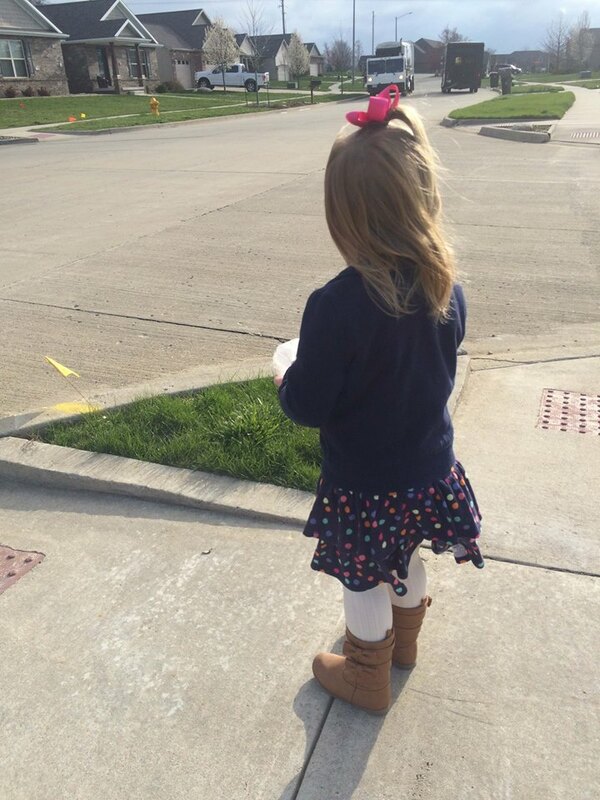 At first, she was waving from the window as the garbage truck passed by. Then Brooklyn, her mother Traci and little brother Ty moved outside to wave. And when they missed the truck, Traci Andracke would drive the kids around the neighborhood to find the truck so Brooklyn could wave. And the driver always made a point of waving back with a big smile and honking the truck’s horn. He pulled over, got out and gave us his BIG smile. 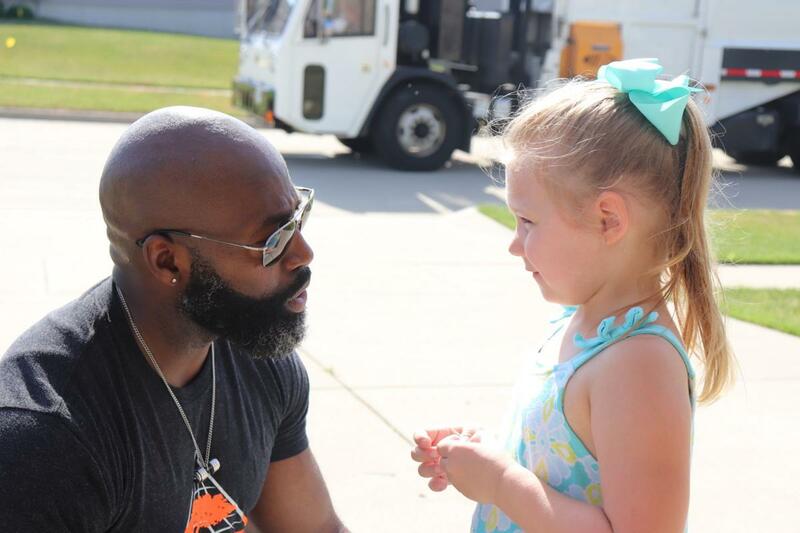 Brooklyn was instantly speechless as she handed him the cupcake. I explained to him that he makes our day every Thursday, and we really appreciate the honking and waving, and how special of a day it is for us. Traci Andracke made some photographs of the scene, and shared them on Facebook. 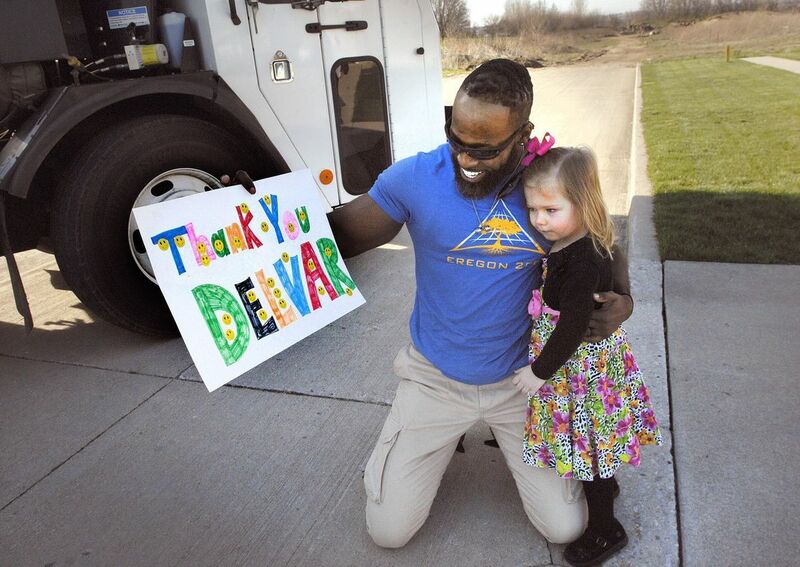 She also learned the man’s name: Delvar Dopson. 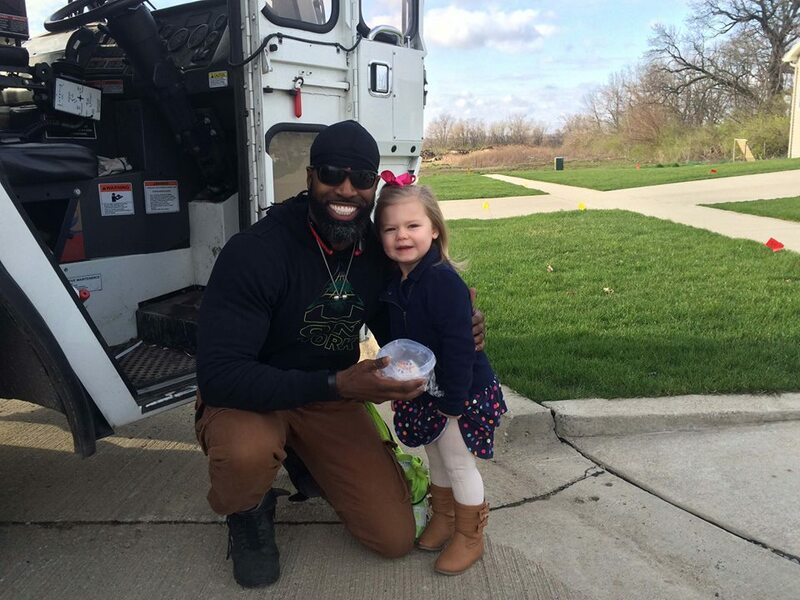 THEN ……… he walked her around to the other side of the truck and pulled out the most amazing, awesome and generous birthday gifts for her. He said he did a little research and knew she liked the movie FROZEN. His wife made this incredible basket full of everything FROZEN, and another full set of FROZEN fun stuff to color, paint and draw with ……… a little girl’s dream!!!! (and yes, at this point I was crying). Brooklyn gave Delvar the sign to keep in his truck. He put it in the front window facing out for everyone to see. The story was shared on Facebook and spread around. Delvar got warm congratulations from colleagues from all over the country and even from abroad, telling him how he made them proud of their job. Here are some of the Pantagraph photographs. 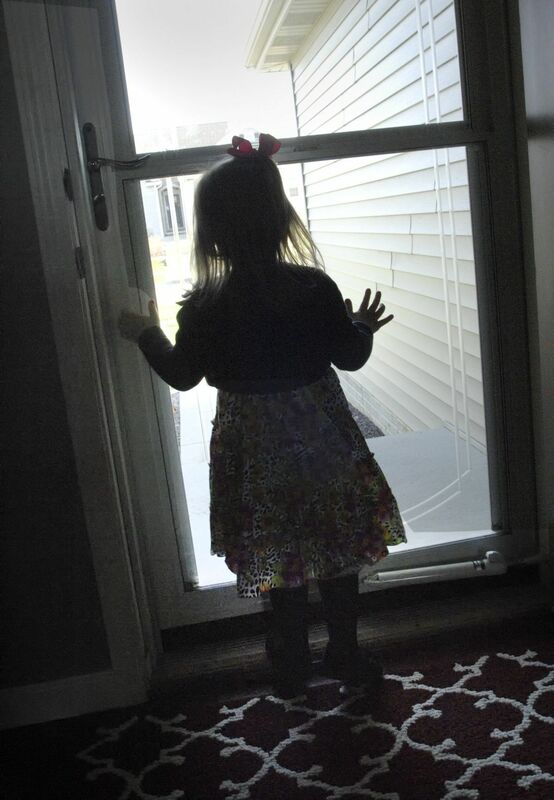 Brooklyn eagerly awaits Delvar’s arrival. As he comes by, she gets out with her sign for him. But surprise! Delvar brought a birthday present. 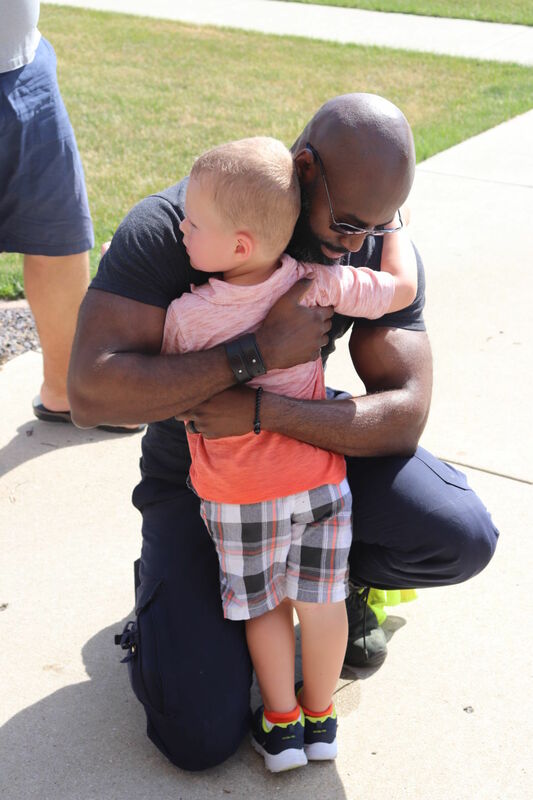 And now big big hugs! Now, this magical encounter also changed Delvar’s life. 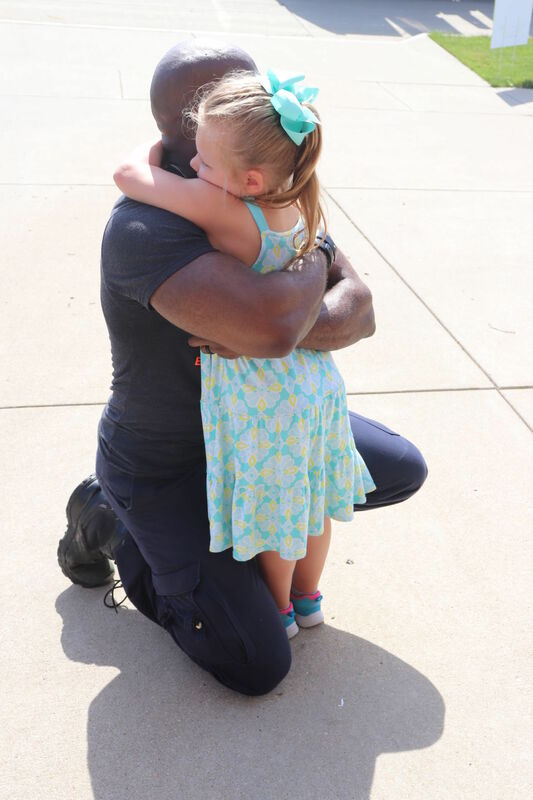 Indeed, the story of Brooklyn sharing a cupcake with him on her third birthday on April 7, 2016, became a viral sensation on the internet, and it caught the attention of Nutella, the makers of the chocolate hazelnut spread, which featured Delvar Dopson in a series of YouTube videos. After noticing the videos, NBC Universal officials invited Delvar and his wife Bonnie to compete on the television game “The Wall” on July 7, 2017. The couple won $399,792. 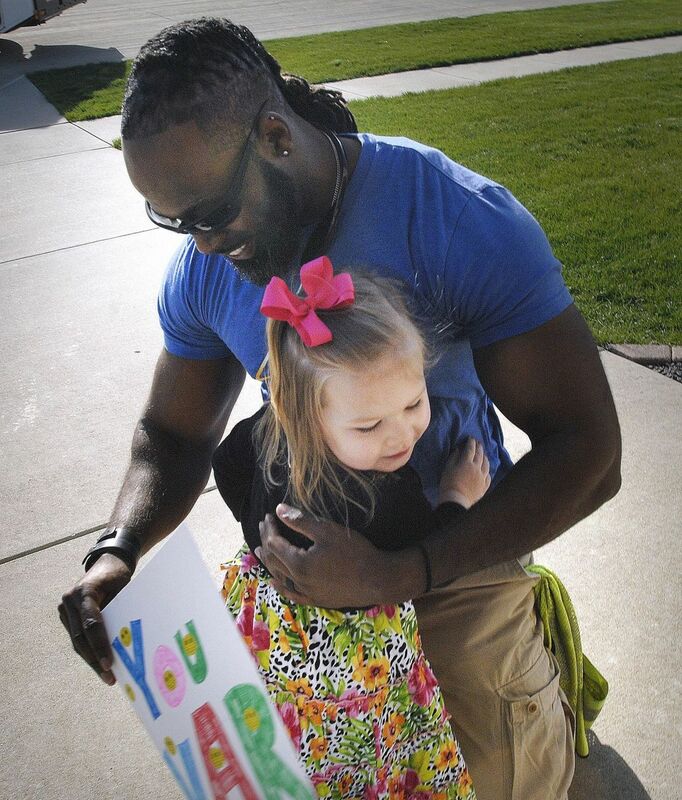 Before departing, he came to Brooklyn’s house to give her and her little brother Ty a farewell with big hugs. Sources: Since the site of Pantagraph cannot be viewed in Europe, I have added links to the archived version of its articles. City of Bloomington – City Hall, Facebook, April 8, 2016 (with 4 photographs). City of Bloomington – City Hall, Facebook, April 15, 2016. 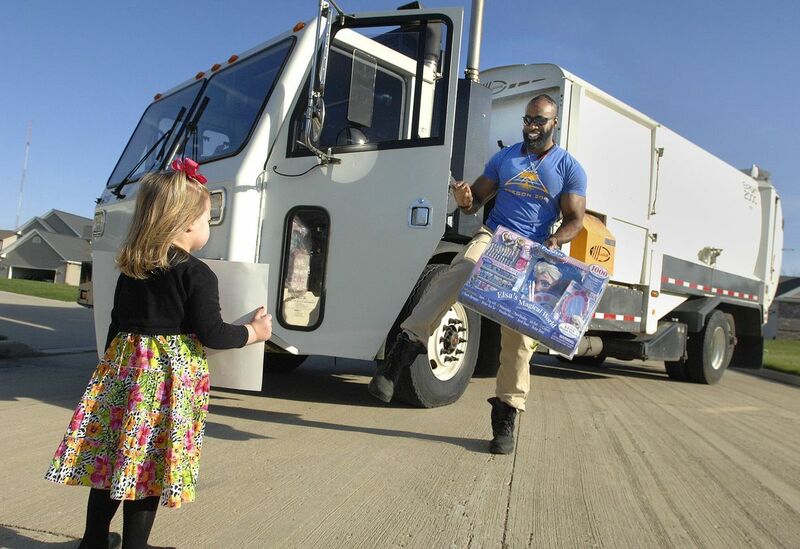 Maria Nagle, “EXCHANGE: 3-year-old Bloomington girl loves trash collector,” The Washington Times, April 22, 2016. 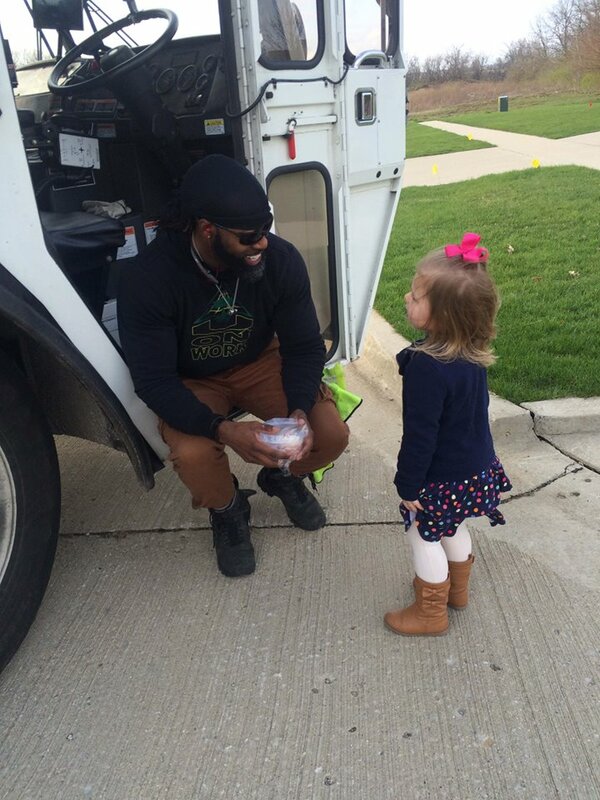 Lee Moran, “Little Girl Gives Her Hero Garbage Man A Cupcake, Melts All Our Hearts,” The Huffington Post, April 22, 2016. This entry was posted in Andracke, Brooklyn, Photography by Christian. Bookmark the permalink. Awww! Now that’s cute! That I like! Amanda, I am glad that you like my stories about little girls. I have a few ones in store, I publish some in Pigtails and others in the new Agapeta (Poets and Lovers). My next one will be on April 22 in Poets and Lovers.